After a tumultuous semester battling pneumonia and the recurrence of my mother’s cancerous tumor, I packed up my Hope College memorabilia and returned to my hometown, parental rules, and the familiar pink shag carpet my eleven-year-old self had loved. I wasn’t really bitter about my homecoming, as one might think. 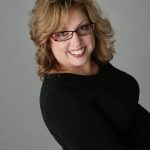 I was plagued with confusion: about life, myself, and the future–and not necessarily in that order. After a semester internship back at a middle school near Hope College, I had doubts on whether teaching was the right career path for me. During my observation days in the classroom, I barely stayed awake. I couldn’t imagine doing this every day, let alone the rest of my life. To complicate matters, my mother was not getting any better. The latest oncology report detailed something about metastasized cells and radiation with chemotherapy. I was uncertain what it all meant, but the fragile lines on my dad’s face told me it was as serious as the words sounded. By the time the snow fell in December, the beautiful Hope College campus with its lakeshore view no longer held any allure. I came home at the semester end with a big sigh, hoping to exhale the deeper emotions of uncertainty and ambivalence. Home felt like a reprieve from the disorder of my life. Image from MRA’s Twitter page. Click to visit the site. Aquinas College is located in my hometown, so it made sense to resume my junior year there. My first course was taught by a middle-aged woman with bleach blonde hair, a love for the Cardinals (the baseball team–not the bird), and a fake bake that would have shamed any native Floridian. Her name was Merri Warren, and she was a past president of the Michigan Reading Association (MRA). Because of her MRA association, I was recruited during the semester to work at the annual conference as a student volunteer. Even now, I can recall the impressive scope and scale of the conference with flocks of teachers converging around the registration area. I was electrified by their chatter of books and speakers and ideas and possibilities. Their anticipation was intoxicating as I eavesdropped on folks waiting for badges and bags. Never before had I been among so many whose love for books paralleled my own. As the throngs dispersed to their speakers and sessions, I felt a stirring toward the classroom once again. There was a kindred exhilaration in the air, and I felt inspired that these people might just be my people too. For the first time, I felt the “calling” that many describe when becoming a teacher. I had found my way amidst the crowded concourse of conferees, and I was excited about all the possibilities–all thanks to Merri Warren and the Michigan Reading Association. Beginnings and endings have an interesting way of zigzagging. Two years later, I graduated from Aquinas College with a teaching endorsement and reading degree–just three months following my mother’s lost battle to cancer. I went on to teach English at Greenville Senior High School in 1994 and later earned my M.Ed as a reading specialist. As I finished my Master’s Degree, I looked to the Michigan Reading Association as the authority on literacy instruction and pedagogy. 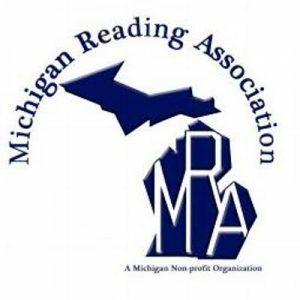 When I started a high school reading program in my school, I relied on the Michigan Reading Association as a guide. While many may remember the late nineties as the rise of the boy bands and Y2K scare, I remember my reconnection to MRA. Since then, I have attended as a member every year as a teacher, a local council leader, a conference committee chair, a board member, a co-chair, and now as the President-elect and Conference Chair. Not only has MRA shaped my teaching, it has led me on a pathway I never envisioned. Thirty years have passed since my introduction to the Michigan Reading Association in Merri Warren’s reading class at Aquinas College. She will never know the extent of her influence having recently passed away, but I carry forward her enthusiasm and love for literacy. I often wonder, “How in the world did I end up here? !” I like to believe it began with that initial spark as a college kid wondering what to do with her life. Maybe it was the moment I stepped across the stage with my diploma in hand or stood in front of my first classroom of teenagers. In any case, I believe in following that warm stirring that grows quietly beneath the surface and directs us to our calling. Our passions are powerful conductors of our futures. 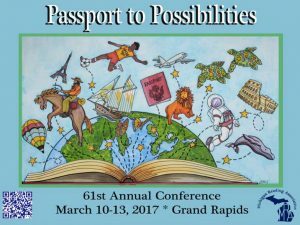 Mine led me to Chair the Michigan Reading Association’s 61st Annual Conference Passport to Possibilities. Click on the image above to view the Conference-at-a-Glance for the 61st Annual Conference. The theme Passport to Possibilities reflects the dynamic and advancing role of literacy as a foundation for all learning. I hope participants are encouraged to consider what literacy looks like in the 21st century as we become more networked and connected. This year’s conference includes the following authors, poets, and literacy giants: Peter Johnston, Lester Laminack, Ernest Morrell, Taylor Mali, The 2 Sisters, David Wiesner, Antero Garcia, Ralph Fletcher, Pernille Ripp, Jan Richardson, Kate Messner, Gary Schmidt, Devin Scillian, Marquin Parks, Jonathan Friesen, Troy Hicks, and more! Friday is the pre-conference with Reading Hall-of-Famer, Dr. Timothy Shanahan. Saturday and Sunday include three General Sessions, hundreds of breakout sessions, and ticket events and luncheons. Monday is focused specifically on digital literacy. For specific information on the upcoming conference, please visit the ​MRA website​ or download the ​Conference-at-a-Glance​. If you are a pre-student teacher in an undergraduate program, click here to be an MRA volunteer. Elizabeth Gates, an English teacher at Greenville High School and a 2009 SI graduate of the Chippewa River Writing Project, is the President-Elect of the Michigan Reading Association and Conference Chair of the 2017 MRA Conference: Passport to Possibilities. This entry was posted in Reflections and tagged Professional Development, Reading, reflections. Bookmark the permalink.